This book is a must read. The Law of Attraction (LOA) is important on our path to understanding that the thoughts and feelings we most often let occupy us - become ‘attracted’ to our field. I do believe that some might be confusing this idea with reaching and being at Millionaire Status. But what does being a Millionaire bring us, if in the end we’ve forgotten how to Love? If remembering to Love, Laugh, and have Fun in Life, brings various forms of Abundance, including Financial - then I will continue smiling my Inner Smile. As much as I do right now, at this very Present Moment. My greatest goal is to continue tapping into the Joyful, Bubbly feeling I so often experienced as a child. Yeah, yeah, I know and totally feel compassion for the times we forget (including myself) - keep your Heart on the Prize. If you’re feeling stuck and in a funk that seems difficult to pull yourself back up from, reach out to someone. It sometimes helps to hear reminders from someone other than ourselves. Friends, family, partners, #spiritualcoaches that can positively remind us of the Vibe that is natural to our spirit. And then Refocus. Pull yourself back into your center. Remind yourself How you Love to Feel. Remind yourself Everyday, several times a day! Maybe an experience as a Millionaire is a part of our experience. Who knows? When we’re Feeling so Good that our Creative Passion is Sparked. Maybe what we feel called to create is something that many other people also enjoy and appreciate - and then, yeah, maybe we also get to experience how it feels to be in Financial Abundance. I’ve only recently started reading this book, but have listened to lots and lots of recordings. Have You read ‘The Law of Attraction’? 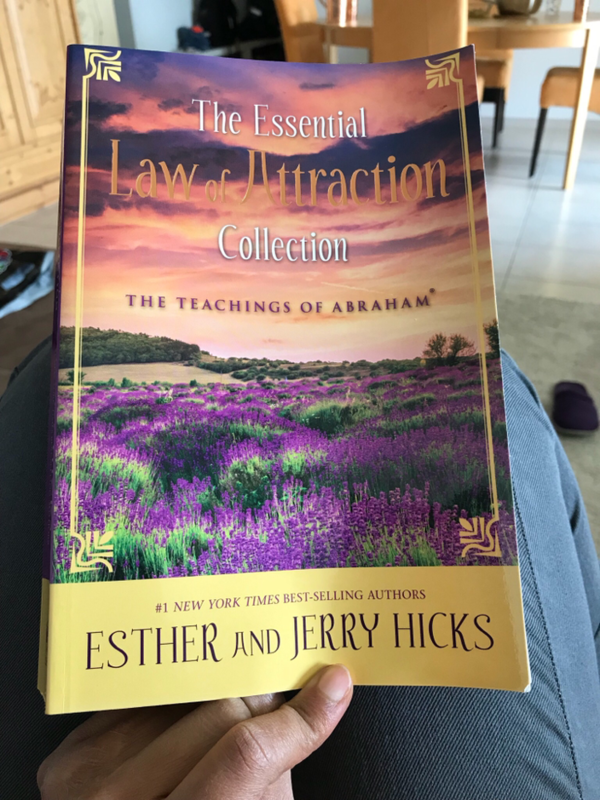 Or any other Abraham, via Esther and Jerry Hicks books? If you did, what did you learn from reading them? How have you experienced The Law of Attraction in your Life? Listen to "Attracting What Most Occupies our Feelings and Thoughts" on Spreaker.